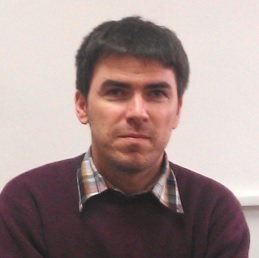 Oltean Mihai - Research in the field of Genetic Programming, Multi Expression Programming, Traceless Genetic Programming, Evolution of Evolutionary Algorithms, Optical Computing, Evolvable hardware, Optical solutions to NP-complete problems, Robotics, Artificial Intelligence. Multi Expression Programming - automatic generation of computer programs. Fruits-360 dataset - a large dataset with fruits images. Evolving Heuristics with Genetic Programming - automatic generation of heuristics for NP-complete problems. Optical computing - How to solve difficult (NP-complete) problems with light. Traceless Genetic Programming - automatic generation of computer programs and data models. Evolving evolutionary algorithms - automatic generation of evolutionary algorithms (also called Meta GP). UBBOTS - Intelligent robots competition. Uzina 3D - a 3D printer.